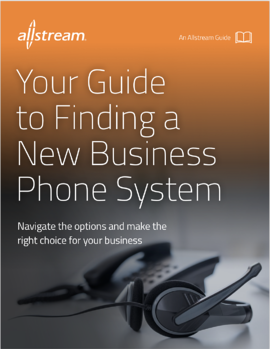 Thinking about updating your phone system? There are important options and capabilities to consider in terms of function and deployment. Choosing the right combination for your business is critical. You need to know that it's going to work as intended and deliver the functionality your business demands. Should you stay with an on-premise system or move to the cloud? Should you manage the solution yourself or work with a trusted third-party provider? Should you consider a hybrid approach that blends your legacy equipment with cloud-based services? This guide will help you evaluate those options. to take care of yours.